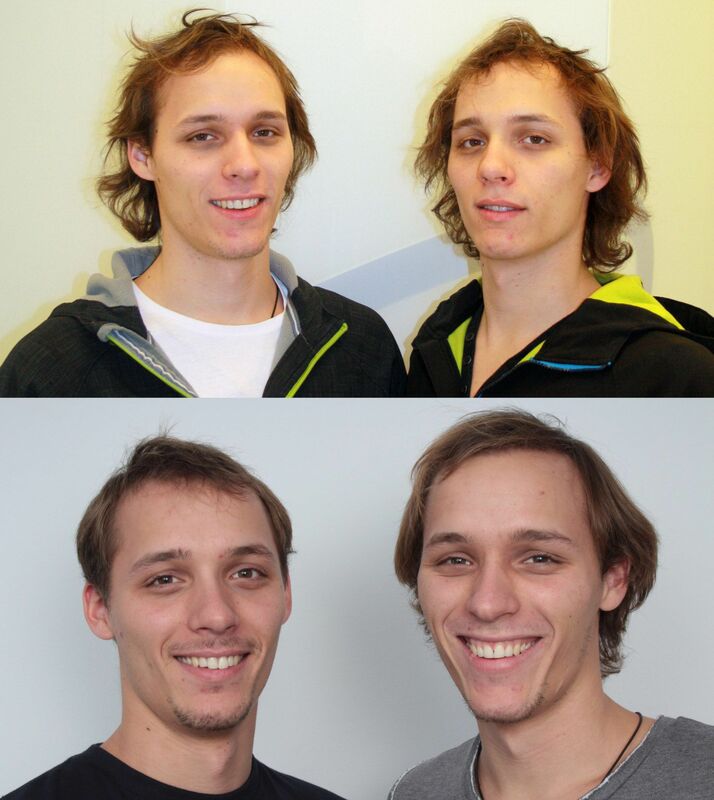 It was a first in Moser Medical's 36-year history when, in March 2015, twin brothers Stefan David and Stefan Dominik Bertalan both received hair transplantations. 7 months later, they presented their progress and now, their final results. Vienna, April 2016. 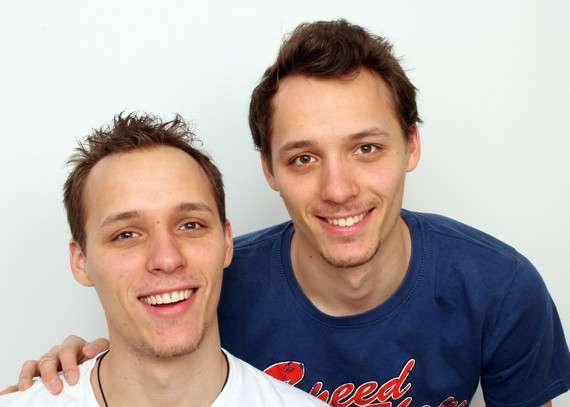 Twin brothers Stefan David and Stefan Dominik, both students, suffered from pronounced hair loss and receding hairlines. Because they do lots of things together, why would a hair transplant be any different? After extensive research and consultations, they decided to receive their treatment at the Moser Medical clinic in Vienna. Stefan David: "It was immediately clear to me that the team were experts in what they were recommending to us. Their advice and guidance was super. In the end, it really mattered to me that Moser Medical had a clinic that has specialised in hair transplantation for decades." Stefan Dominik: "Yes, exactly. Their experience was also an important point for me. And when I learned that they could treat us both at the same time, the decision was made!" In March, it was finally time. The team prepared two of the three treatment rooms in the Vienna clinic. Two hair surgeons and 15 medical assistants were at the ready to perform the transplantation. A team from the magazine "gesund&fit" (healthy and fit) was also there to report on the rare event. Hair specialist Karl Moser: "Both brothers had a similar pattern of genetic hair loss. Because their father was also affected relatively early on, it was easy to see how further loss would affect them." The experienced team carried out the hair transplantation, and on the same day Stefan David and Stefan Dominik were able to go home from the clinic. In October, seven months after the hair transplantations, the twins returned to Vienna for a follow-up appointment. The transplanted hair had grown in well on both brothers and the changes were already clearly visible. Stefan Dominik: "We compare almost every day to see who has more hair growing! It's really cool to see that this worked and we can both feel good about having a fuller head of hair." In April 2016, one year after the treatment, the brothers came back to Vienna to show off their results - both were beaming. Stefan David: "Now we think a lot more about what our hairstyle looks like! We also like to go to the hairdresser together now. ;-)"